5-8 years old! 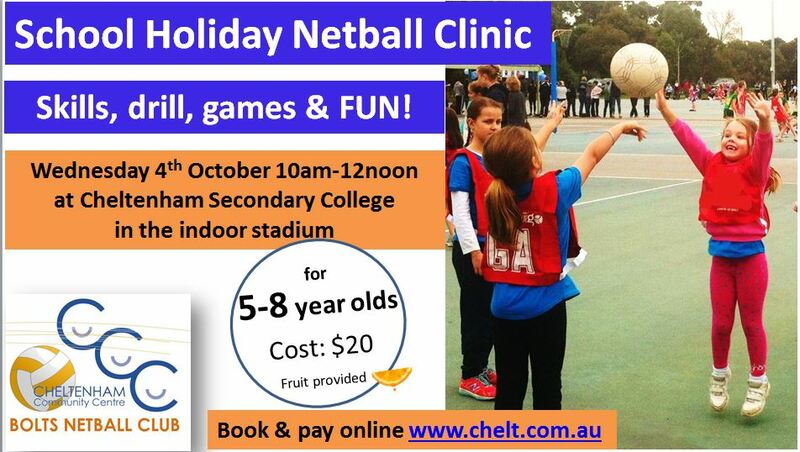 A great opportunity to bring a friend to netball, practice your netball in the school holidays, learn more about becoming a super netballer, and most of all have some netball FUN! Conducted by experienced coaches, with engaging netball activities tailored to participants skill levels, and assisted by skilled Junior player coaches (u15's, u17's).